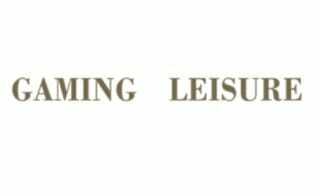 The Gaming & Leisure® organization is the epicenter of the gaming and hospitality industry. G&L products uniquely provide 360° coverage of all facets of operations for owners and operators. The G&L Community is an unparalleled collective of industry thought leaders, in fact, the G&L Community represents a vast majority of gaming and hospitality spend domestically and the G&L Roundtable is host to the most gaming CIOs in one private forum in North America. G&L provides industry leadership and the unique opportunity to solidify industry relationships, which continually enriches our industry and ourselves.